Nov. 7, 2016 6:00 a.m.
A candlelight vigil in memory of Letisha Reimer was held Friday night outside of Abbotsford Senior Secondary. 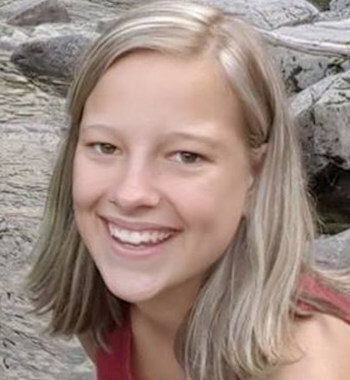 The superintendent of the Abbotsford school district said he is “overcome with emotion” at the community’s response following the double stabbing last week at Abbotsford Senior Secondary that resulted in the death of student Letisha Reimer, 13. Kevin Godden said many churches, community agencies and citizens have offered support. “You name it, they have done it so far, and I am so grateful for this community stretching its arms out around our kids and families to help heal us. I am truly, truly overwhelmed by that,” he said. Students returned to the high school on Monday for the first time following the tragedy. The school was open for half a day, and students returned to the classes they were in when the lockdown first took place. Students, staff and members of the community were then invited to tie red and black ribbons in the shape of a heart on the school fence in Reimer’s memory. In the days since the tragic event, the community has come together in many ways to remember Reimer. On Friday evening, a candlelight vigil was held outside Abbotsford Senior, where a memorial of flowers, stuffed animals, balloons, cards and messages continues to grow in tribute to the Grade 9 student. Many people wore red and black – the school’s colours. A public service was held the following morning at South Abbotsford Church, which Reimer attended. “Letisha had a deep impact on so many of us as we experienced her love for life, her joy, her energetic personality and her compassion for others,” stated a post on the church’s Facebook page. The church also posted that a celebration of life for Reimer will be held Saturday, Nov. 12 at 2 p.m. at Central Heights Church, 1661 McCallum Rd. Meanwhile, a GoFundMe account set up to assist Reimer’s family with expenses continues to grow and is currently at almost $50,000. A campaign, called Abby Strong, begins today (Monday) to raise funds for the families of Reimer and her 14-year-old friend (who can’t be named due to a publication ban) who was injured in the stabbing. The project includes the sale of T-shirts and stickers in Abbotsford Senior Secondary’s colours. T-shirts sell for $25 and stickers are $2 and are available at city hall, Tourism Abbotsford, the UFV bookstore, Field House Brewing Co., Spruce Collective and Highstreet shopping centre. For more information, visit the Abby Strong Facebook page. This is in response to concerns that Gabriel Klein, the man accused of killing Reimer and injuring her friend, suffered from mental-health issues, although investigators have not confirmed that. “As much as it pains me that Letisha died, let’s not let her death be in vain,” wrote Mona Wilhelm, who created the group. Another Facebook page, “In Loving Memory of Letisha Reimer,” is dedicated to celebrating the teen’s life. Reimer died on Tuesday, Nov. 1. She had been in the rotunda of Abbotsford Senior Secondary with her friend when a man, who did not know them and had no connection to the school, attacked them with a knife. The two girls were airlifted to hospital, but Reimer did not survive. The assailant was subdued by school staff and has been in police custody since. The Integrated Homicide Investigation Team announced the following day that Klein, 21, had been charged with second-degree murder and aggravated assault. Abbotsford Senior Secondary was closed for the remainder of the week following the incident. The school district has said that the critical incident response team, including counsellors, will continue to work with students and staff over the coming weeks. Klein is scheduled to appear in Abbotsford provincial court on Monday morning.